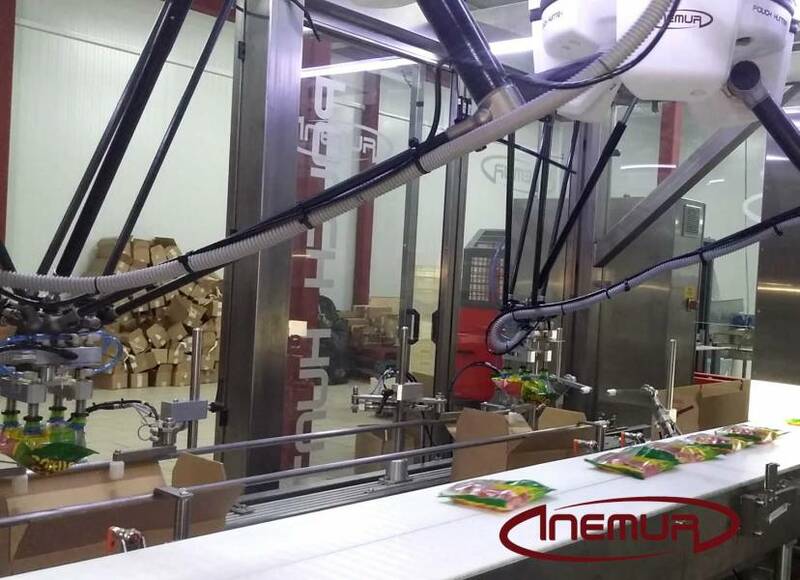 INEMUR has equipment for embedded containers, packages and bags by Delta and Anthropomorphic robots that can be guided by artificial vision. 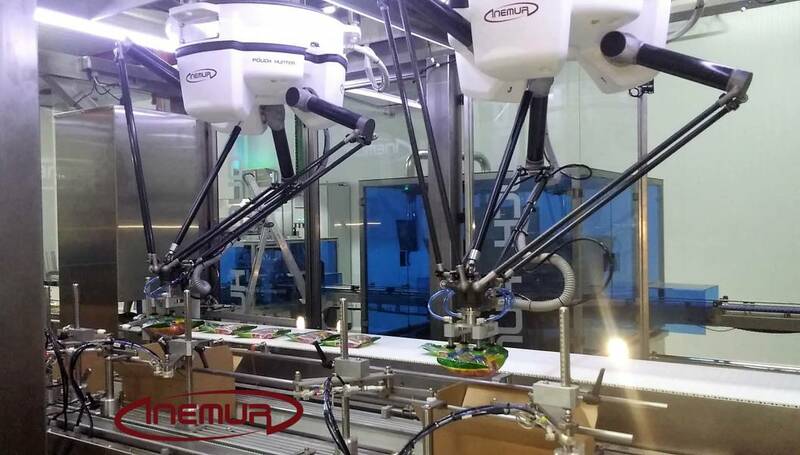 Our equipment is able to work with the product and the box in motion, resulting in a perfect combination of high production with great flexibility and ease of use and providing the highest level of reliability and market efficiency. 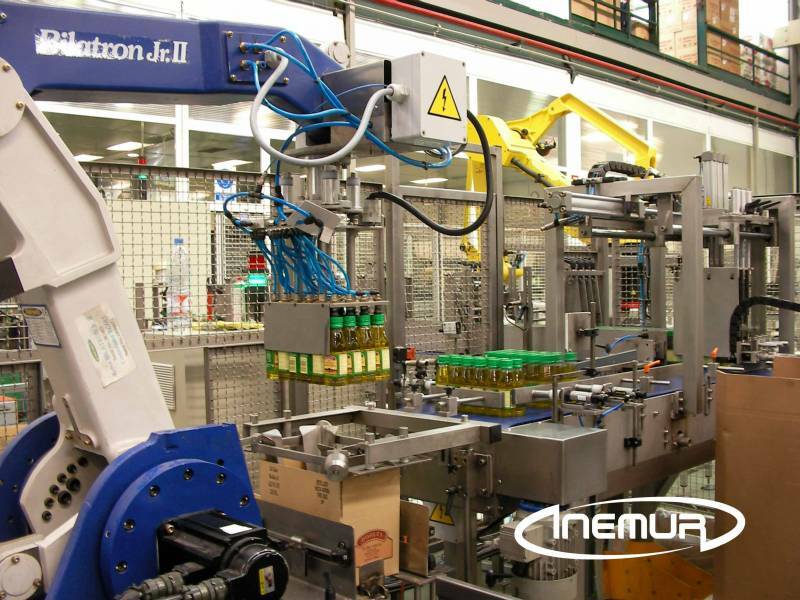 We have semi-standardized systems and tailored-made design solutions, adapting ourselves to the customer’s particular needs in each case.